This entry was posted in Uncategorized and tagged patio. Bookmark the permalink. Okay. Now you’ve got me inspired to spray paint my ancient-and-very-rusty-but-still-perfectly-serviceable metal patio set. Hints? Tips? Advice? It’s easy-peasy. I just clean them with a little soapy water and a brush. 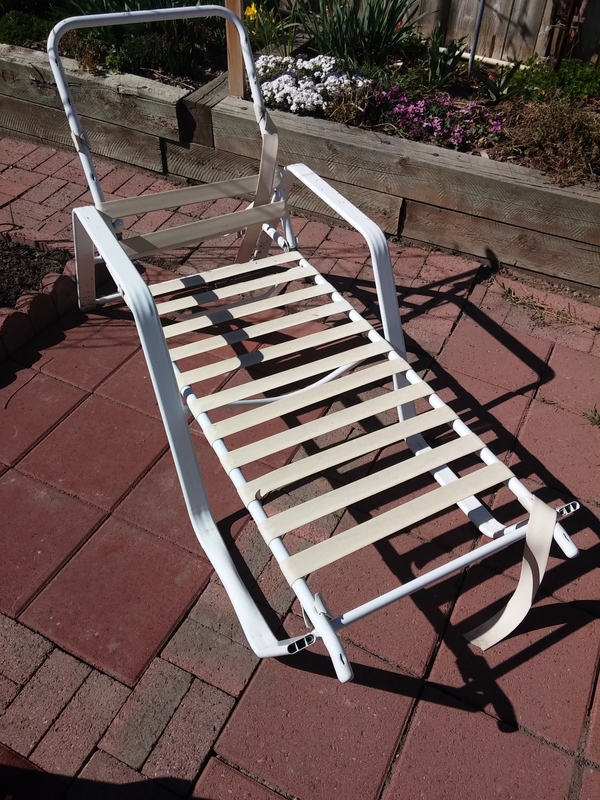 If you have any really crusty rust spots where the metal is actually flaking, you might want to take a wire brush to them, but I’ve never had to do that – I just paint right over light rust spots. Let them dry well in the sun. 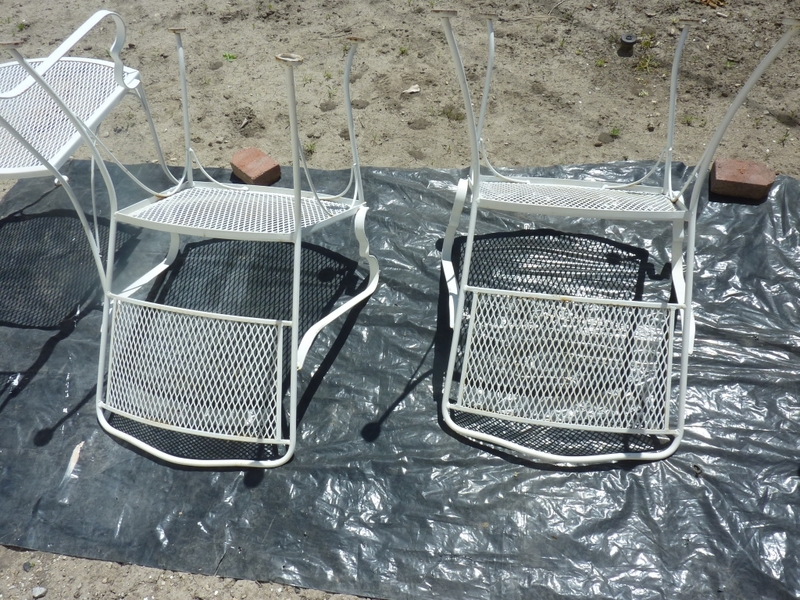 Then I just grab cans of Rustoleum enamel spray paint (gloss or flat – your choice) in the desired color, and spray away. I turn them over and start with the bottoms first. Once they’re dry to the touch (a couple of hours), I flip them over and finish up. 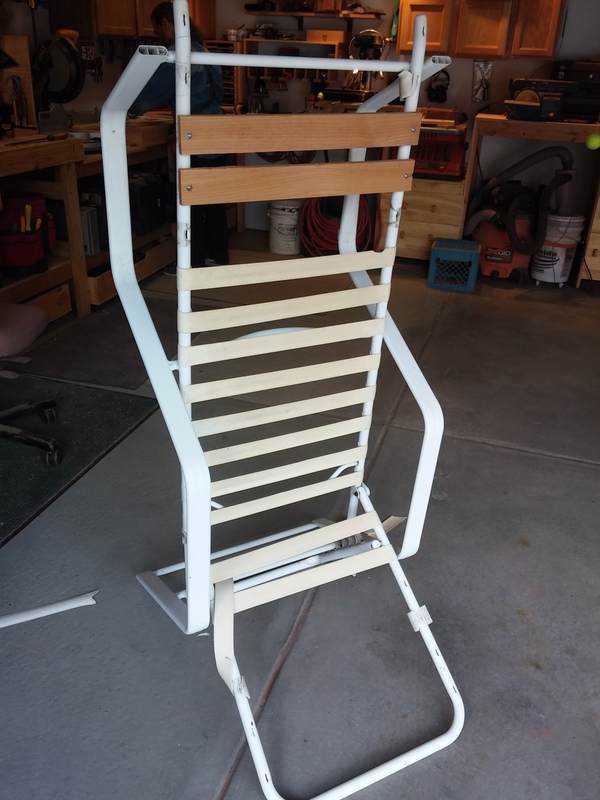 It takes 1 to 2 cans of paint for the 4 chairs, depending on how much painting they need – sometimes it’s just a few spots that need touch-up. You might need more if you’re doing a first-time all-over paint job. 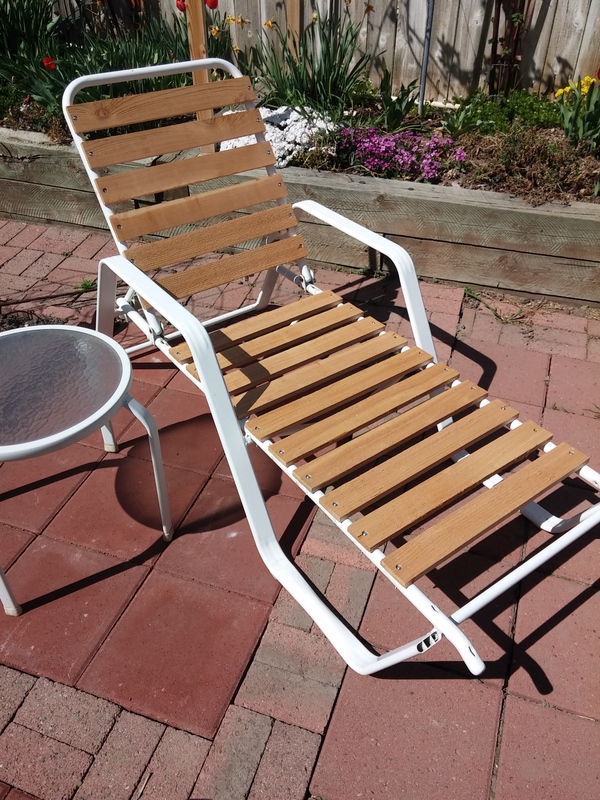 Your patio furniture is some of the most comfortable, and stylish, than any I’ve seen! Nice. I’m definitely thinking more about how to reduce what i throw out by repurposing.